In 1997 at the Cinema Village in New York City a screening of Bad Bugs Bunny was canceled. On July 18 a screening of Let’s Go to the Circus at the Hollywood Theatre in Portland, Oregon was canceled. What did these two events a generation and a continent apart have in common? The answer: Dennis Nyback. I asked if my risking my life made any difference. He said “That’s different.” What we decided was to not reveal to the ticket buyers that they would not see Bad Bugs Bunny. Instead I addressed them after they were seated to explain that the show was created to illustrate censorship and that they were getting a cheap education. I then showed them a program of racist, sexist and violent cartoons from other animation studios. No one asked for their money back. A black woman attorney gave me her card and said she would represent me pro bono if I was taken into court. I created the program Bad Bugs Bunny as a comment on how censorship works in a free society. I was inspired by a 1992 article in the Wall Street Journal about the Disney Company editing out “anything that would offend anybody” from their body of animation works dating back to the birth of sound pictures. Their reason was due to a complaint from an American mother who wrote to them after seeing the character Pecos Bill on the Disney Channel, in a cartoon from the 1940’s, roll a cigarette and smoke it. I objected to Disney’s actions on several levels. The first was that they were trying to edit history. Because of motion pictures we can examine the 20th Century in ways not applicable to any previous time. Editing out offensive content from old films for new audiences is tantamount to the Goths and Vandals sacking Rome and destroying libraries because of their fear of knowledge. Second, film is art. Editing old cartoons is like cutting off Van Gogh’s other ear in one of his self portraits. What made both of those examples worse was the modern censorship of old films really had nothing do with right or wrong. What it was concerned with was money. Disney viewed the one complaint as a shot across the bow with an armada behind it. Their fear was simply that viewers would turn off their TVs and revenue would fall because of it. Bad Bugs Bunny first screened at the Pike St. Cinema in Seattle in 1993. It was advertised as the truth of America’s history of racism, sexism and violence , in animated form. In 1995 I took it to Europe for screenings in dozens of venues in six countries. In 1997 it played to sold out houses in Great Britain. It also spawned the book “Reading the Rabbit: Explorations in Warner Bros. Animation” edited by Kevin Sandler in 1998. The Circus show was not canceled due to content. It, and all my future scheduled programs, was canceled due to complaints by three audience members who walked out during a screening of the 1933 film The Kid From Borneo a month earlier, during a program of Our Gang shorts. Up to that evening I had been showing films at the Hollywood Theatre once a the month for over three years. In all I had shown 37 film programs there dating back to February 11, 2013. We recently had a programming meeting to try and slim down our regular series to free up more screen time. We are now booked months in advance and really need more flexibility to be able to take advantage of unforeseen opportunities as they arise. As far as the complaints, they have been about the racially charged content in the films and people feeling that an older white male is not the best person to present and discuss those films and issues. As a nonprofit organization striving for diversity and inclusivity, we take those complaints very seriously. For the number of people attending the shows, the number of complaints has been more than we are comfortable with. And many of the complaints have come from staff, volunteers and members – our most cherished supporters. Not to mention that many of our grant funders are VERY sensitive to this and requiring that diversity and racial sensitivity be one of our main goals if we want funding from them. I will let you be the judge as to what was wheat and what was chaff in that message. I also must admit that that I am aware that perception is often more important than the truth. In the early 90’s in Seattle there was a gay bar on Capital Hill that had a TV screen dedicated to old black and white movie images with no sound. It was all public domain material including Three Stooges, Buster Keaton, and a grab bag of newsreel and other stuff. A funny 1941 short called Lambeth Walk: Nazi Style got into the mix. 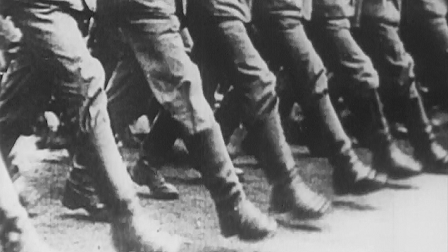 Seen silent it is only footage of goosestepping Nazi soldiers. Before long there was a rampant rumor the owners of the bar were Nazi sympathizers. Eventually the bar went out of business. The Kid From Borneo is an interesting film. In my introduction comments prior to the screening I talked about it. I told the audience about how Our Gang shorts, starting in 1922, were about the only films mass audiences saw where blacks and whites were treated as equals. In The Kid From Borneo there is a scene where the African American actor Matthew “Stymie” Beard is sitting on a curb with white friends on each side. He has a bag of candy. When his friends ask for some he tells them “No, this is all I’ve got, candy’s hard to get these days.” That is taken as understandable by his peers. The plot involves a black circus attraction being mistaken as a returning uncle by Spanky McFarland’s family. It is telling that the white kids see no problem with a black man, being part of their family. I also gave the audience background information about the actor John Lester Johnson who played the character “The wild man from Borneo.” He was a professional boxer who turned to acting. His most famous fight was a draw against Jack Dempsey in 1916 in which he broke three of Dempsey’s ribs. Although he appeared in over three dozen films between 1930 and 1942 most of his roles were small and in stereotyped parts. The Kid From Borneo is his only starring role. I should have mentioned that using indigenous people, or dressing up modern individuals as savages, in various settings, has had a long history in our country. At the 1905 Lewis and Clark Exposition in Portland one exhibit was a group of Igorot people from the Philippines shown as living in primitive conditions. I have had plenty of time to think about all of this. In 1989 I started a three year run hosting “Vintage Jazz” every Thursday morning from 9:30 to noon on radio station KBCS 91.3FM from Bellevue Community College. That was fine until I played the 1928 record Mississippi Mud. It featured Bing Crosby and Bix Beiderbecke. I fielded a call from a listener who complained about the lyrics. Specifically she didn’t like the word “darkies.” I told her that the record was sixty years old and shouldn’t be seen as reflecting any current views. About a month later I was fired. When I first showed Bad Bugs Bunny in Seattle I was invited to take part in a radio talk show. I told the talk show host that I’d be happy to come down to the station. He told me it would be better if I called in. At the appointed time I called. He announced on the air that I had created and was showing a program of racist, sexist and violent cartoons. He asked me “Do you expect a bunch of skinhead neo-nazis to come to your show?” I replied “We don’t buy any advertising. Most people learn about them through fliers and posters. People need to know how to read to find out.” He then said thanks and hung up. Then he ripped me as a racist for the rest of the show. In 2001 I went to the Schomburg Library in New York to research the turn of the 20th Century actor George Walker. I was treated politely but I was also made aware that as a white man I would be better served researching white people somewhere else. I was talking to a friend last week who told me that when he was showing films at the University of Oregon many years ago he showed the short film St. Louis Blues (1929) featuring the great singer Bessie Smith. The film is a wonderful document of a largely unseen past. In addition to Bessie Smith it features the Hall Johnson choir, the dancer Jimmy Mordacai, the pianist James P. Johnson and members of the Fletcher Henderson Orchestra. 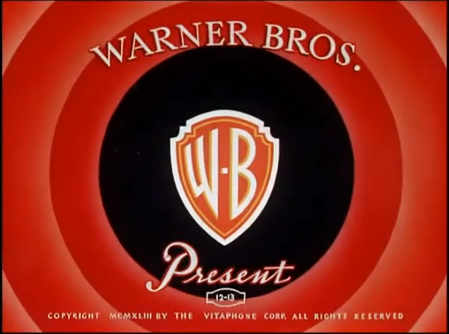 It was co-produced by W.C. Handy. Music and choral arrangements were by John Rosamond Johnson. It probably had more talent involved from the Harlem Renaissance than any film ever made. He told me that there were complaints about a scene where a group of African Americans shoot craps. For the second screening he advanced the film half way through to cut out the more egregious issues and to only show Bessie Smith singing the title song. Those who saw the censored show went on blissfully unaware of their ignorance. While writing this I got sidetracked. I improved the Wikipedia page on Lincoln Perry. He is better known by his stage name “Stepin Fetchit”. The part I edited said that the character “Stymie” in Our Gang films was modeled on “Stepin Fetchit”. Nothing could be further than the truth. The only explanation that could be is the person writing had not looked at anything Matthew “Stymie” Beard had ever done. At least the three people who walked out on my show got a glimpse of him. 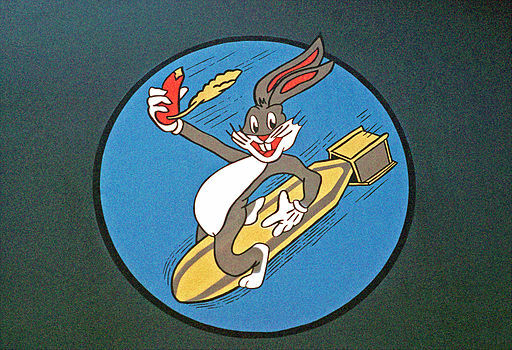 “Bugs Bunny Nose Art”, courtesy Wikimedia Commons. 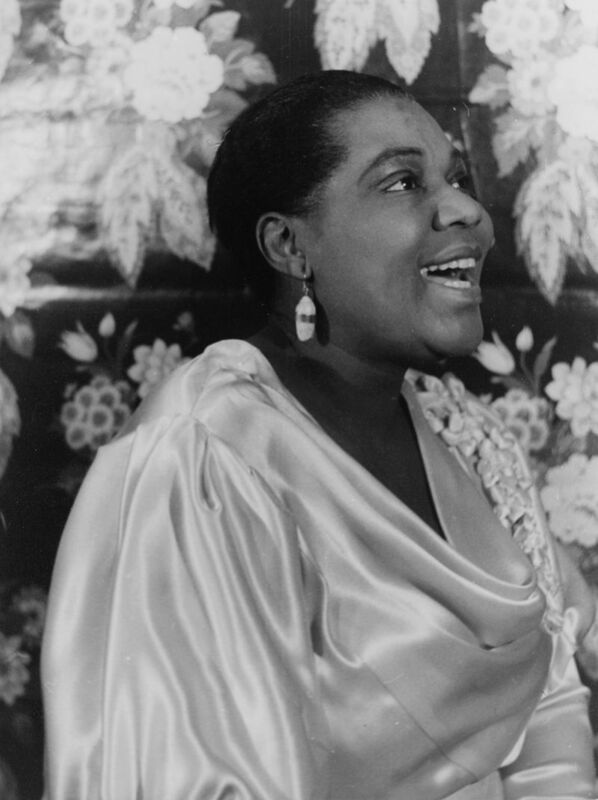 Bessie Smith, courtesy of Dennis Nyback.